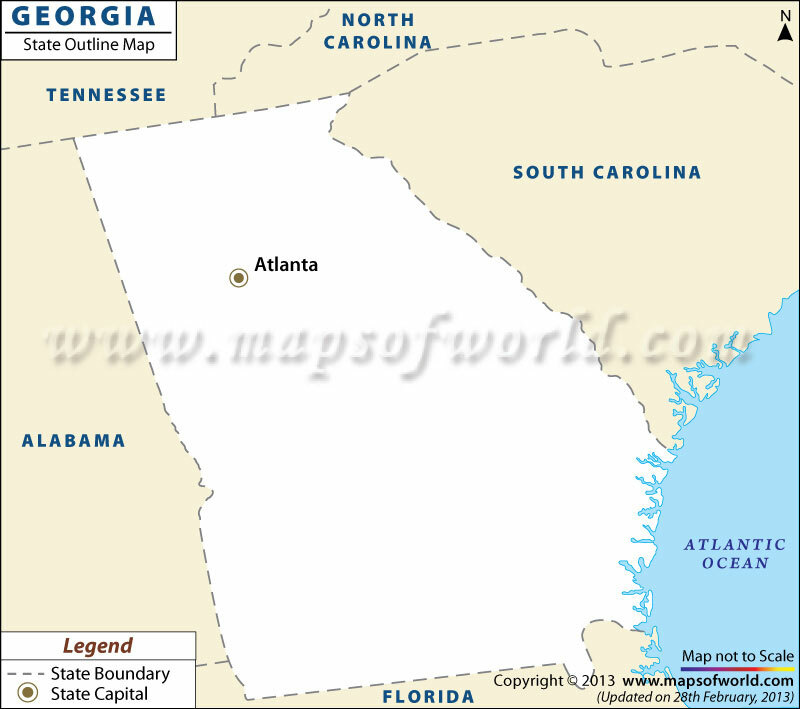 Blank Outline map of Georgia is a fully editable map that allows you to zoom into a specific portion of the map while keeping the lines and text crisp, irrespective of the level of magnification. These 100% editable maps offer you the convenience of selecting and editing any object on the map, including state/county/country boundaries, map symbols, road lines, train lines, text, and more. With all major map objects comfortably residing within their own intuitively labeled layers, it becomes quite convenient for you to show/hide, edit and even delete the main map object. Irrespective of whether you’re a school or college student, downloading the outline map of Georgia can help you with your project or school presentation. The fully printable outline maps are an excellent resource for performing a wide range of geographical activities. Students can use these maps to label physical as well as political features including the names of countries, continents, cities, water bodies, deserts, time zones, mountain ranges, rain forests, among others. It is with the use of an outline map that the students can easily find and mark their residence, chart the route of a renowned explorer as well as follow the migration of a particular species of animals.